Almost a third (29 per cent) of UK adults are concerned they will need to go without gas or electricity for a period this winter to reduce the cost of their utility bills. Research conducted for Npower by YouGov shows almost half (46 per cent) of all households will cut down on using heating, rising to 53 per cent for those with children. While more than one in ten (13 per cent) of people not in work intend to have fewer hot meals. Npower’s findings suggest the problem is more severe for vulnerable people, including families with young children and the elderly. Of those who said they were concerned they would have to reduce their energy use, 52 per cent of retirees and 36 per cent of households with children said they would have fewer hot showers and baths each week. Over a third (35 per cent) of respondents will think twice about making a hot drink every single day during winter and 33 per cent will reduce the number of times they wash clothes each week. Despite the “heat or eat dilemma” being widespread, 57 per cent of those surveyed said they were unaware of any financial help or advice being offered to those in difficulty. The survey results came as Npower yesterday (1 November) launched the Npower Foundation, an independent charity which aims to ahelp those struggling to pay utility bills by expanding the Fuel Bank network more widely. Matthew Cole, Npower’s head of social energy and trustee of the Npower Foundation, said: “Fuel Bank users tell us how a simple fuel voucher can make a world of difference to both them and their family members, not only providing power, heat and light, but also by reducing anxiety and worry. 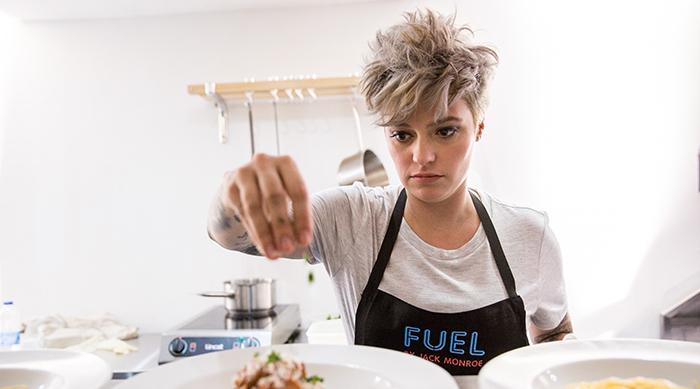 To demonstrate the severity of the heat or eat dilemma, Npower created FUEL, a one-off dining event with Jack Monroe, chef, activist and food writer. The pop-up saw diners choose between warm food in freezing surroundings or forgoing food for a warm setting. Since 2015, the Fuel Bank has provided support for people in fuel crisis by giving two weeks’ worth of emergency gas and electricity to food bank users, in partnership with anti-poverty charity the Trussell Trust. In the last two and a half years, the initiative has helped more than 70,000 people with pre-payment meters, providing over £1 million worth of emergency gas or electricity. Npower has committed £1 million per year until 2020.